Splento is pleased to announce the first Splento Photography Scholarship. Our main goal is to improve the quality of the photography services worldwide, therefore, the awarding process is based on a careful review of the student’s photographic works through digital submissions as a part of the scholarship application. To be considered eligible to apply for the Splento scholarship, you must meet the requirements below. The award is intended to help students who are enrolled (or are planning to be enrolled) college or university students studying in the United Kingdom or the United States. The scholarship winner will be asked to provide the proof of education. Recent college graduates, high school juniors, and doctoral candidates are not eligible to apply. Must be a current college undergraduate or graduate student studying at a 4-year, 2-year, vocational, or technical institution in the United Kingdom or the United States. He or she must be the United Kingdom or the United States Citizen or a permanent legal resident. · Fill out the Splento Entry Form here. · Include your name, email address, and the name of your current ​college/university. · what you plan to do with the scholarship you receive. Post the contest ​photo(s) ​to your ​Facebook or ​Instagram account, ​tag ​@Splento (or @splentoapp on Instagram), ​and ​use our ​hashtag #SplentoScholarship. Add the link to the social media post in the Entry Form. Accepting entries begins on ​February the 1st at 12:01 am and ends on March 15th at 11:59 pm. The winner will be chosen on April 18th. · £750 or $1000 towards any educational course in your ​college/university. · An article with an interview on the Splento Blog. · The winner will be chosen by the Splento Committee with Roman Grigoriev, the CEO of Splento, in charge. · A committee will select a recipient based on: commitment to goals (50%); creativity and photographic skills (50%). · Application Deadline: March 15, ​2019. · The Winner will be announced via email on April 18, 2019. If you have any questions or if you would like to find out more about this scholarship, please send an email to scholarship@splento.com. 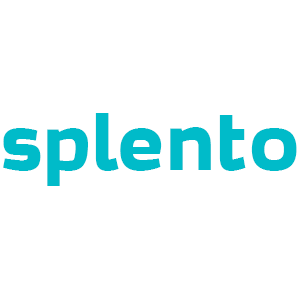 By submitting the application, you are allowing Splento to use the information and visual content on our website, blog, soсial media accounts, etc.